There is no escaping the power of images. Researchers who use photography and video as part of their projects have the potential to reach huge audiences through visual-obsessed social media channels. 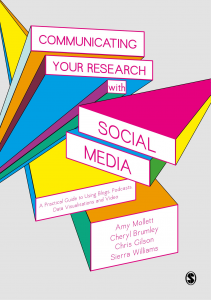 As part of a series previewing their new book Communicating Your Research with Social Media, Amy Mollett, Cheryl Brumley, Chris Gilson and Sierra Williams run through the questions you should ask yourself before getting started; questions that will help you to identify realistic objectives as well as potential barriers. Every 60 seconds, more than 500 hours of video are published on video-sharing platform YouTube; every day, more than 80 million photos are published by users on video and photo-sharing app Instagram; and the photo, video and messaging app Snapchat now has over 10 billion daily video views. In a 2015 interview with Instagram co-founder Kevin Systrom, Financial Times journalist Hannah Kuchler noted that the app is “spawning an entire Insta-economy, becoming a source of income for thousands and changing how everyone, from celebrities to small businesses, communicates”. Even NASA has found fame on the platform. 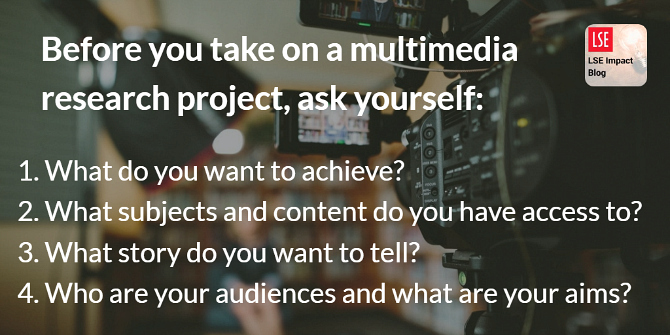 Here we argue that before undertaking a photo or video project, it is essential that you take the time to consider some key questions about what you want from your project and the audiences you intend to reach. This will not only allow you to reflect critically on the means by which you will disseminate your content, it will also allow you to address any potential barriers before they risk becoming a hindrance later on. 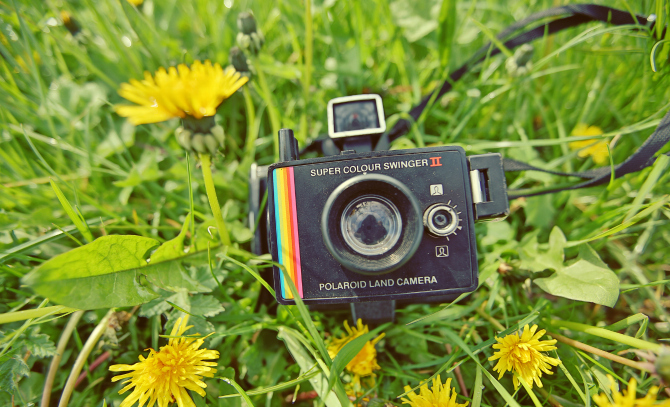 Image credit: Polaroid Land Camera by philhearing. This work is licensed under a CC BY 2.0 license. Question 1: What do you want to achieve? Why do you want to create photo or video content for social media? Is it because you want to reach influencers like journalists or special interest groups? Or do you simply want to raise awareness among a more general audience? Consider whether the images and footage you intend to gather have the potential to do this, and whether your audience will be interested enough to engage with this content. Setting out your aims and objectives will focus your efforts before your head gets wrapped in more technical tasks. Question 2: What subjects and content do you have access to? If you are in the primary research phase, you should be thinking about the participants and partners you might have access to and whether they would be happy to be interviewed, captured in footage, and have their images shared through your social media feeds. In many cases, consent from the individuals will need to be obtained in order to use the images fairly and lawfully. Data protection, digital storage for your material, and photographer-subject power imbalances should all be taken seriously. Question 3: What story do you want to tell? When thinking about how you might disseminate your research using photos or videos on social media, explore what specific stories you can tell. As you’re sharing your content on social media, you need a punchy, clear delivery. Think of a story in the classic sense here: exposition, rising action, climax, falling action, and resolution. For example, for somebody with a journal article about the findings of a study on internet safety for teenagers, and who is looking to create a one-minute video aimed at schoolteachers, we can use these simplified steps: first, lay out a problem or phenomenon – many children and teenagers use social networks today, but there are dangers to be aware of. Second, identify a potential solution for that problem or, if it’s a phenomenon, you provide a potential explanation – the results of your study show that talking to children about the subject in a way that empowers them and gives them specific action points or routes to find help is the best way to tackle this. Finally, you discuss the results – a set of three recommendations from your article and downloadable resources. In terms of the dissemination and impact phases, think about any events attached to your project: could photos and video footage from lectures or pop-ups be curated and shared through your social media feeds? Or could you create an animated video which uses elements of other things you might already have created, such as blog posts, data visualisations, or podcasts? If you’re not working directly with any subjects (animal, human, or other) or you’d like to experiment a bit first, there are several free photo and video archives online that you can explore and source content from. Whatever you are working with, planning out what you could capture and where you could capture it will help you produce better results. It will also ensure that you obtain the right permissions before committing fully to a particular research subject, should you still be in the primary research phase. The most common problem faced when communicating research is getting bogged down in the minute details of a paper or report. This is to be expected after having worked closely on a subject for a number of months. And research, academic or otherwise, usually doesn’t fit the tight, aforementioned narrative arc; there are rarely simple resolutions. And there are always caveats. Try explaining your research to a friend or colleague unfamiliar with the details of your research. Ask them what interested them most and what seemed superfluous. Was there a central image of a person or subject that may form the basis of a photo essay on your blog or a one-minute YouTube video? Hone in on a specific person, scene, or event that best illustrates your findings rather than trying to tackle your whole paper or report. Question 4: Who are your audiences and what are your aims? If you are using photos and videos on social media as part of the dissemination and impact phases of the research lifecycle, you should already be considering who your audiences might be and what expectations they might have. Audiences and the actions you want your audiences to take will influence the style of the content you produce and how you use social media to promote it. For example, if you are trying to reach teenagers in San Francisco to promote your project’s website about new mental health initiatives in the city, consider a targeted campaign using short video clips on platforms with large take-up by this group, such as Instagram and Snapchat. If, for the same project, you also want to raise awareness of your findings for teaching networks, consider a one-minute explainer video that could be shared in teachers’ Facebook groups and on resource websites. Again, for the same project, if you are looking to demonstrate the impact of your project to funders, including how it was supported by local MPs and mentioned in a House of Commons debate, a 30-second slide show of this footage to launch your report plus your other achievements might be part of the path to extra funding. Think about who will be interested in looking at and sharing your videos, photos and your research, and map these out or list them; the more specific, the better.